Suitable for tougher, more arduous blast production applications. Our direct pressure cabinets are available in two vessel sizes, 12lt and 30lt. The larger 30ltr pressure vessel gives longer periods of blast between refills of media from the cabinet hopper. 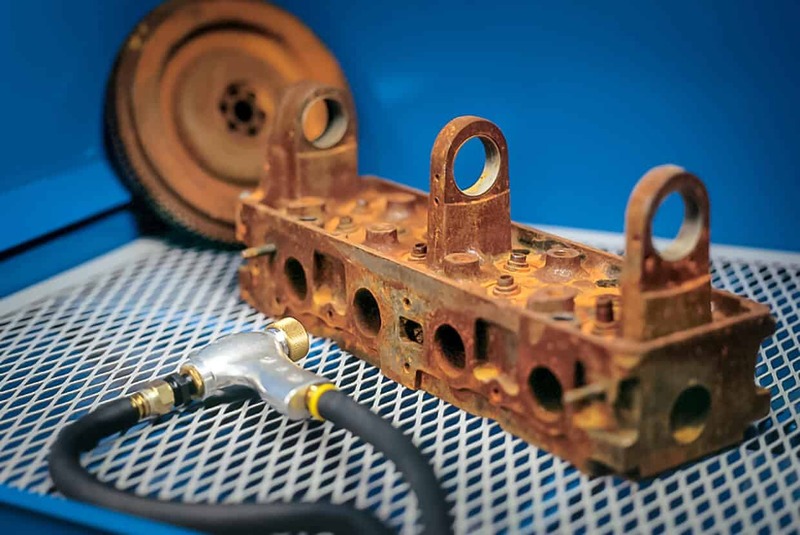 Typically a pressure cleaning machine will work faster than a suction machine but will also allow the delicate work of low pressure to be achieved that is usually associated with a suction variant. These units are ideal for processing larger areas or removal of tougher corrosion or coatings. For the most arduous work Airblast can incorporate a 70ltr blast machine and cyclone unit. For more information about our direct pressure blast cabinets, please get in touch with us via our Contact page. 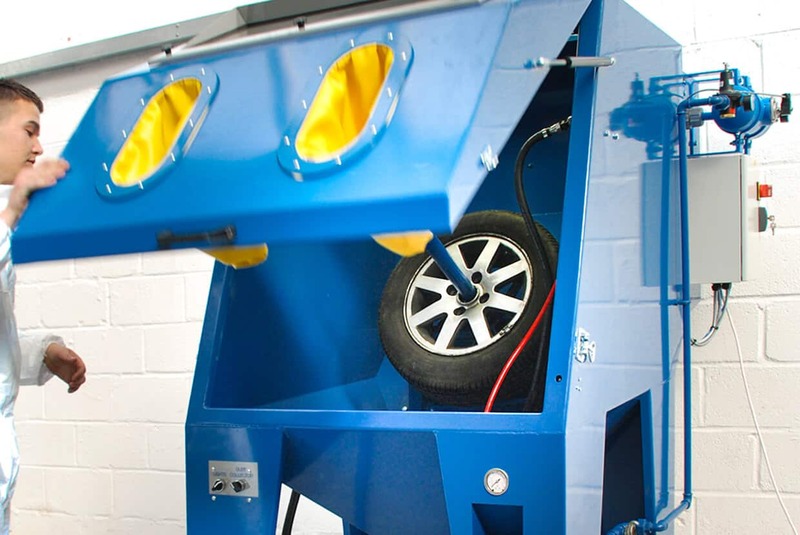 Wheel Blasting Cabinets are purpose-built machines offering rapid preparation of wheels prior to recoating.